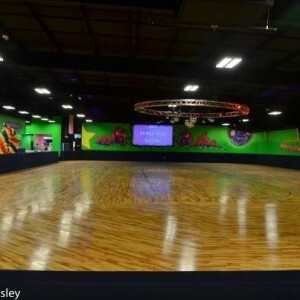 Starlite offers a genuine Maple hardwood floor for easy roller skating fun. Roller skating is not only Fun, it’s Heart Healthy! To see a video of our floor visit us on YOUTUBE!